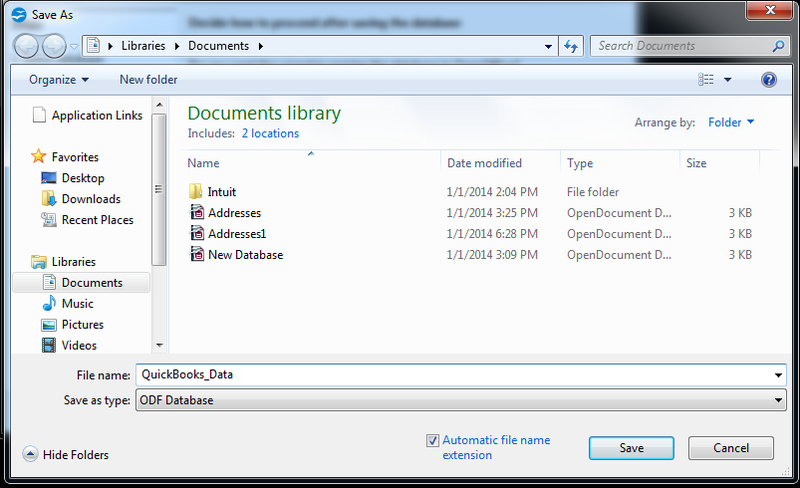 First, please select the "Create a new database" option to import QuickBooks data. Now please click "Next" button. Now please click "Finish" & save the newely created database to your specified location & give the name to the database (In this example I use database name as QuickBooks_Data). You can see newly created database is ready for different operations. Please click on the File menu, go to Wizard option & please select Address Data Source option. Please select "Other external data source" option & click "Next". Now please click on "Settings" button to import QuickBooks Data. Now please select "ODBC" as the database type. Now please click on "Browse" button & choose data source "QuickBooks Data". Now please click on "Test Connection" button to test the connection. You can see successful connection dialog box. Please click on "OK" button, then please click "Next" button. Now please select "Use catalog for file-based database" option & click on "Finish" button. Now you can see the connection is established. Please select the table which you want to import (Here I choose Account table). You can assign the field to the table by clicking "Field Assignment" button. 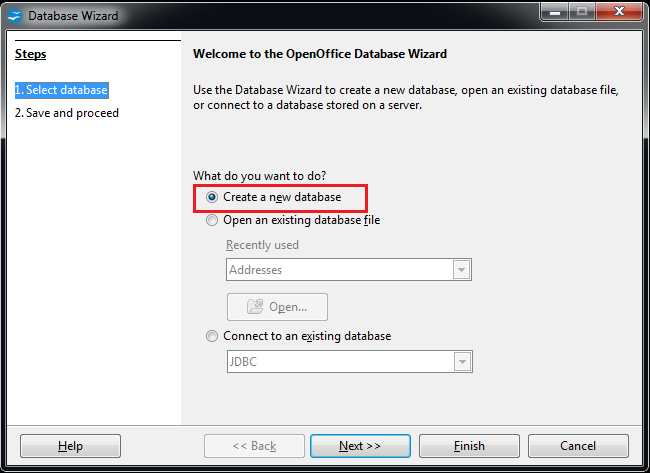 Now register data source in OpenOffice by choosing database location & database name (In this example registered OpenOffice database name is Adresses2.odb) then click on "Finish" button to complete the import process. 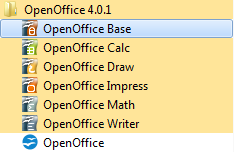 Now please click on "File" menu to Open registered OpenOffice database. Please provide your registered OpenOffice database through "Browse" button(By default it is saved in "Documents" folder. 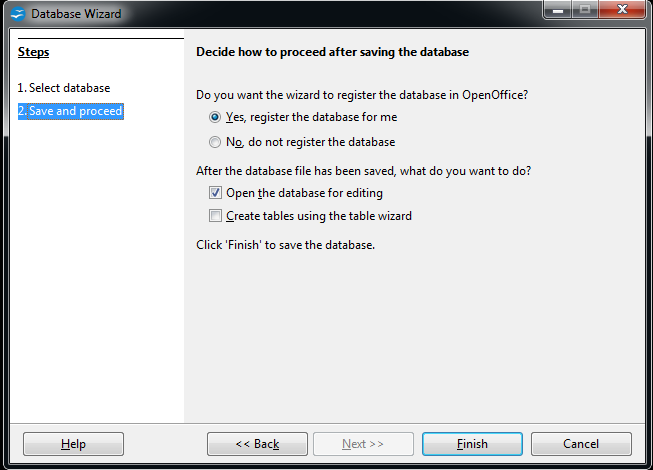 Registered OpenOffice database will open in new window. Now please click on "Table", you will get all list of QuickBooks tables. Now please click on any tablename whose data you want to fetch (In this example I have clicked on Account table). You can query imported table from "Query" pane by selecting "Create Query in SQL View". Please type SQL statements in query editor window & press F5 to Run Query. OpenOffice is not compatible with write operation with QuickBooks. You can use OpenOffice only for the read operation.